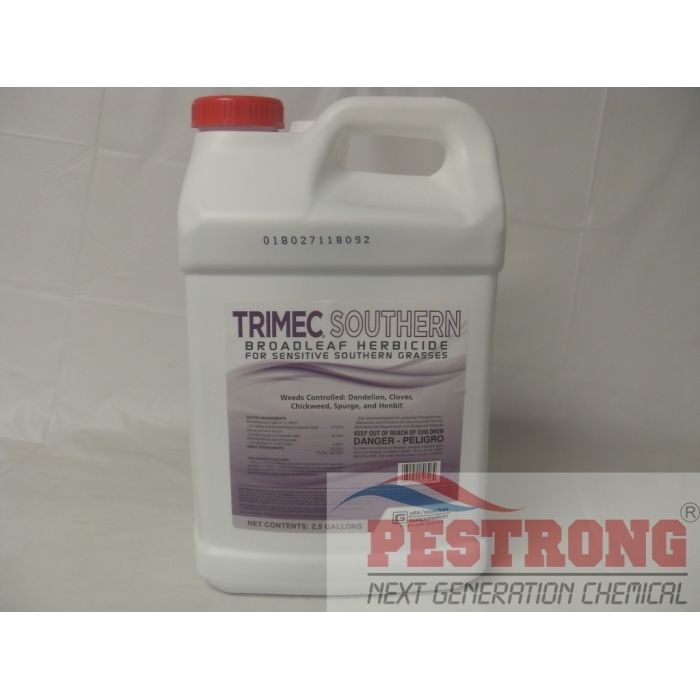 Where to Buy Trimec Southern, Trimec Southern Herbicide - Qt - 1 - 2.5 Gallon - $33.95 for Sale with Fast Free Shipping! Trimec Southern Herbicide - Qt - 1 - 2.5 Gallon provides post-emergent clover, chickweed and other broadleaf weed control, especially in sensitive warm-season turfgrass areas on golf courses, residential and commercial lawns, sports turf and park and recreation areas. Weed Pro Glyphosate 41% Herbicide Roundup -..
Trimec Southern is designed to minimize risk to sensitive southern turfgrasses. But that doesn’t mean it won’t control tough weeds everywhere. In fact, recent research has shown that Trimec Southern is the most effective amine Trimec complex for clover control. Trimec Southern is formulated with less 2,4-D to accommodate sensitive warm-season grasses, and higher in MCPP to maintain the quality performance you expect from a Trimec complex. This adjustment in formulation is the optimum ratio for knocking out clover. So Trimec Southern isn’t just for the south, it’s for tough weed control anywhere, especially where clover or chickweed is the primary target. Trimec Southern is intended for use on bermudagrass, zoysiagrass, centipedegrass and St. Augustinegrass and can also be used on cool-season grasses such as bluegrass, fescues and ryegrass. Do not apply this product to Floratam St. Augustinegrass. High degree of tolerance in sensitive warm-season turfgrasses. Wide spectrum broadleaf weed control. Economical clover control option — North or South. Bought this to kill Wild Onion. It killed some wild onion, maybe about half. Still looking for a product to kill all the wild onion. Great product and fast shipping. I would recommend this for control of both clover and dandelions in particular but also does a great job on crabgrass. best broad leaf herbicide. nothing to say about it . 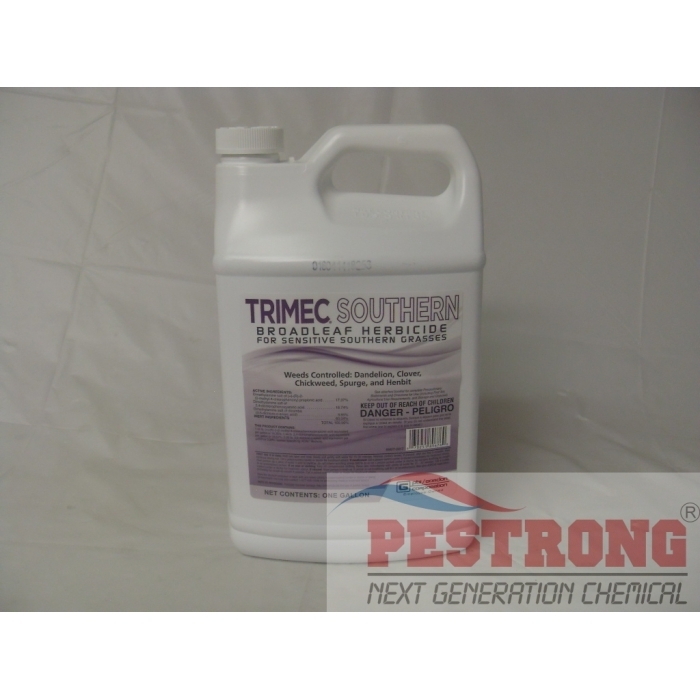 If you are looking for a good broad leaf herbicide for St. Augustine use the Trimec Southern. It works better than any thing that I have tried and it works fast. I have been raising St. Augustine commercially for 34 years and it is a great product and is also inexpensive to use as you only have to use 1 to 1-1/2 pints per acre or if you want to use it in a pump up sprayer use 3/4 ounce per gallon of water. Much more effective than what buy in stores, yet still safe on the grass.